It is not a mystery that everyone’s eye is often focused on Italy when it comes to talk about soccer or, as it is today, elections. No doubts that the Serie A – the Italian Premier League – actually represents one of the most appreciated entertainments across the world. The Italian politics is following this same direction too. In fact, it is worth following the Italian elections for several reasons, but, before starting, let’s make the point. The elections produced a difficult outcome. The country got a hung parliament and the anti–establishment and far–right parties will probably form a government. Matteo Salvini, leader of the far–right Lega, the largest party in the right–wing coalition (coalition that came first with 37% of the vote but failed to win an overall majority), stated that he and his team are ready to govern. Silvio Berlusconi’s Forza Italia came second in the coalition with the 14% of the votes compared to the 17% of Salvini’s Lega. And it is one of the most interesting results of the election: Salvini overtook his coalition partner Silvio Berlusconi, after promising to deport hundreds of thousands of “irregular” migrants, and vocally disdain both the EU and its currency. As regards the Democratic Party, the former Prime Minister, Matteo Renzi, announced his resignation as leader of the Party on Monday, after the center–left coalition got only the 23% of the votes. Meanwhile, the anti–establishment Movimento 5 Stelle, led by Luigi Di Maio, is the first party in the country, obtaining by its own nearly 33% of the votes. This result, even if it changes completely the reality of the Italian politics, is not enough to have the majority in the Parliament. Therefore, M5S would need to form alliances in Parliament to gain a majority. The question is with whom? Matteo Salvini made it clear that he will oppose any “old–style political or cross–party agreement” and refused any alliance with the M5S. But both the two “winners”, the right–wing coalition and M5S, are not able to form a government alone. In this sense the question is therefore what the third bloc, the Democratic Party, will do. Mr Di Maio will now have to cope with a difficult job of balancing. Traditionally, the Movement has always refused even the possibility of an alliance with other parties. So, a coalition government may result in a loss of consent. It is hard to comment the aspects, the leitmotifs, and the core elements of both the recent electoral race and its final results – especially from a point of view focused on the foreign relations and the security policy. Traditionally, the Italian foreign policy and its main topics (relations across the Mediterranean Sea, relations with the Balkans and the partnerships with the US and Russia) is not that appealing when it comes to elections and electoral programmes. Especially in recent times. Thus, national politicians are deeply focused on the domestic policies, on the economic performance of the country, and on the excruciating situation of the labour market – still struggling with a consistent rate of unemployment, especially among youngsters. Italy has not perfectly recovered from the economic crisis, that eroded from within the economic, political, and social stability of the peninsula. Therefore, this led to a harsh feeling that steadily escalated in a weakening of the political consensus. A deep sense of misrepresentation forced politicians from all parties to edulcorate their political offers. As previously underlined, during the elections, foreign policy is considered as a side dish compared to the economic and social issues. This last race wasn’t an exception to this general rule. Foreign policy and security topics were actually relinquished to the backstage of the political debate. Anyway there are few things to take into account. Firstly, being Italy anchored to the EU, the realisation of the domestic agenda will of course depend on the opportunities and limitations that will come to light at the EU level. At the same time, the EU policy making will be impacted by the Italian ability to shape the European agenda and by the role that the future Italian leadership will play in such dynamic environment. Secondly, the new government, that will be likely created after the 23rd of March, should cope with several crucial points. What position should Italy hold towards the Donald Trump’s Administration of the US? And what position must Italy hold against Putin’s dynamism? Which role should Italy play in discussing with China, in the light of the “leap forward” that President Xi Jinping is brokering at the international level? What about Libya and the defence of our national interest on the other side of the Mediterranean Sea? These are just few examples of very general but relevant topics Italy should deal with in the near future. For what concerns the foreign policy, even though it is hard to foresee what the future government will do, let’s try to play the game. The electoral success of both M5S and Lega would likely break with the policies and the approaches that prevailed in the past. About 54% of voters expressed their support to parties that built their consensus and political offer on the interruption of original engagements with Europe, and, at the international level, with global allies. As far as the EU is concerned, Italy has been one of the strenuous supporter of PESCO since the very beginning of this far–sighted EU initiative. 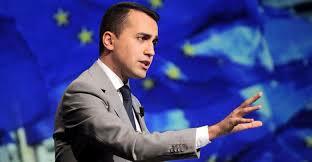 The new Italian government will necessarily focus on the security and defence dossier. In particular, it is foreseeable that security and defence issues will witness a minor discontinuity with the previous political directives. Conversely, a deeper engagement in this subjects will require a bigger amount of resources to be deployed at the political and budgetary level. The quality of the role played by the new government will be confirmed by the actual capability to support the discussion on budget within the new parliament – with a majority of members that do not support any sort of engagement in terms of conflicts resolution or peace–enforcement missions. 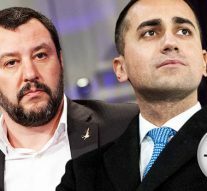 In the domestic dimension, the intention to withdraw troops from Afghanistan has always been one of the deepest desires of the M5S community. On the one hand, this idea comes in perfect compliance with the previous approach of Minister Pinotti, and it aimed at curbing the costs of defence and security units deployed in missions abroad. On the other hand, it is important that such decisions of partial withdrawal troops are taken jointly with other global actors, such as the UN, NATO and the EU institutions, of course. « Previous Article How Did Migration Affect the Italian Elections?